Books enhance intelligence. It’s no mystery. But with thousands of books published year after year and a little time in our hands, which of these books are worth reading? If you carry a book around, most people will assume that you are either smart or trying to be one. We often associate books with wisdom or knowledge. We’ve lived with them through thousands of years and they never fail to give us loads of information for our brains to store and remember. People usually have different motives to read, whether they are done prodigiously or profitably. If you’re looking to sharpen your mind and cultivate your wisdom, you need to be reading books that yield continuous benefit. Here are some books (non-fiction) that will make enhance your intelligence and can change the way you live over a lifetime. 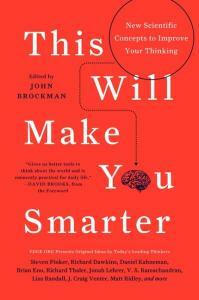 In the book, Kahneman explains that the mind has two systems that influence the way a person thinks. The Fast System (system 1) is fast, intuitive, and emotional; the Slow System (system 2) is slow, logical, and thoughtful. The first system would likely push us to think or do wrong, while the second system may give us a good view of the world around us. 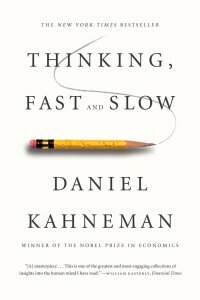 Kahneman reveals the remarkable capabilities- and also the faults and biases- of fast thinking, and exposes the all-encompassing influence of intuitive impressions on our thoughts and behaviour. He also divulges the instances when we ought to trust our intuitions and how we can reap the advantages of slow thinking. This book has been dubbed as the “Granddaddy of all Motivational Literature”. The first edition of the book was published in 1937, which draws on the stories of Andrew Carnegie, Thomas Edison, Henry Ford, and other millionaires of Hill’s generation to demonstrate the book’s points. 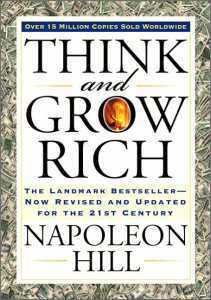 The money-making book is based upon the Thirteen Proven Steps to Riches. In the latest edition of the book, Arthur R. Pell, Ph.D. expertly applied Hill’s principles to cleverly link anecdotes of the way modern millionaires and billionaires like Bill Gates, Mary Kay Ash, Dave Thomas, and Sir John Templeton made their fortune. Sun Tzu’s Art of War contains more than just military strategies as the book’s takeaways are also applicable for getting ahead at work and in business. 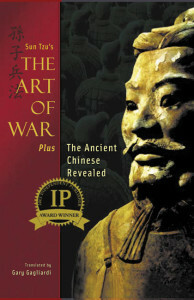 It’s simply one of the world’s most revered books on strategy. In the book, you’ll learn more about how to manage conflicts wisely and efficiently to remain standing as the final victor. Readers are expected to understand the physics, politics, and psychology of conflict to outsmart enemies/ competitors. 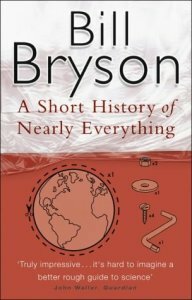 Bill Bryson’s book is one giant narrative about how and why we came to exist. It tries to answer the biggest questions man has ever raised about the universe and his subsistence. It goes back to the time the universe- theoretically speaking- came to be through the Big Bang, and continues to move forward to the emergence of civilised societies. Bryson takes the readers to the many wonders of the universe and our physical world, rendering him to work alongside with several advanced archaeologists, anthropologists, and mathematicians. The answers were visionary and drew on the concepts from psychology, philosophy, economics, physics, sociology, and more. The shared insights will transform the way we think about ourselves and the world around us.